Whether you require a small individual serviced office in London or a larger open plan space you'll benefit from a sleek fit-out and business efficient floor-plates. All serviced offices are impeccably furnished, Internet ready and complete with the latest digital telecom links. The reception area, boardroom and meeting room facilities are all designed with the Professional in mind. Floor to ceiling windows deliver natural light in abundance and the superior air-condition produces a perfect climate for doing business in this superb London serviced office. The London serviced office space is situated at the very heart of the City being centrally located within the triangle that forms the business district of Bishopsgate, Leadenhall Road and Hounsditch. The building could not be served better by public transport. The serviced office is near Liverpool Street and Fenchurch Street mainline stations are nearby and Bank, Aldgate and Monument underground stations are within easily walking distance. Several bus routes and taxi ranks also serve the area. St Mary Axe really is the premier business address in London. Our brand new EC3 Offices are able to offer client fully furnished office space in the heart of London City. Easy Offices Where is the nearest place to get lunch near St Mary Axe? Easy Offices Where is the nearest car park to St Mary Axe? 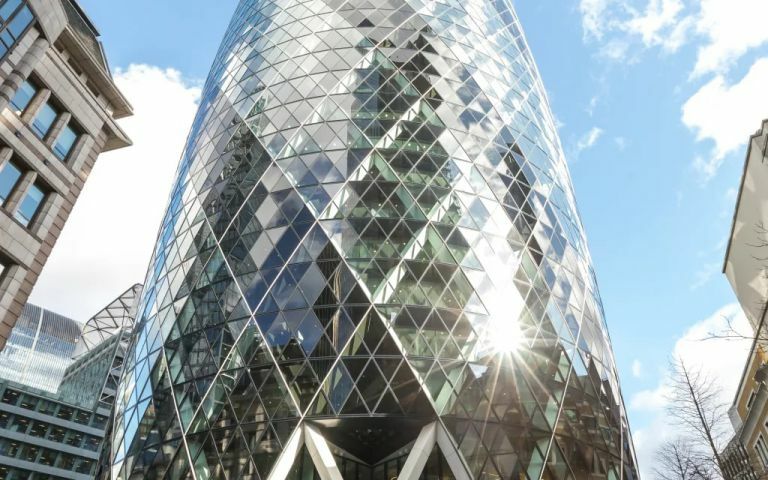 Easy Offices Where is the nearest public gym to St Mary Axe? Easy Offices Where is the nearest coffee shop to St Mary Axe?